Jeff Boggs Big Boy Sinking from Lureaction.com on Vimeo. Big Boy Sink by Jeff Boggs. 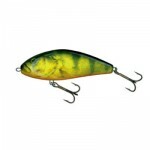 This swimbait is similar to Big Boy Shallow but comes with an internal rig system. Just as the shallow version this is one of the great once out there and with a curly tail molded to the side it gives the Big Boy a jumpy movement through the water. 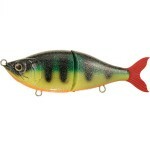 Big Boy Sink will target fish in deep areas where normal and shallow baits are just not enough. Big Boy Sink weighs 140 grams and measures 28 cm. 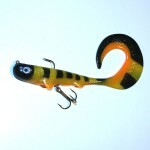 Tags: Big Boy Sink, Jeff Boggs, lure video, lure videos, muskylure, pike video, swimbait video, and underwater video.